Matula Tea’s history began here. In the mid 1970’s Doc Grouse immigrated to Africa from Europe. Ever since his arrival in Africa, he spent thousands of hours studying wild plants and how these medicinal plants have been used by the indigenous tribes of Africa in the preparation of remedies to fight a variety of diseases and ailments. It is common knowledge, that some 80% of modern Western medicine is originally based on ancient plant recipes which have been passed on from father to son through the generations, in some cases over thousand of years. Doc Grouse firmly believes that “for every disease or illness, a natural solution can be found amongst the thousands of medicinal plants growing in various places in the world”. Because of his pioneering spirit, Doc Grouse concentrates on NEW breakthrough discoveries, based on plant remedies that have not been used by mainstream medicine before. He is not interested in replicating or copying existing remedies. In addition he insists that before a remedy is made available for distribution, it’s efficacy and toxicity are scientifically tested by competent institutions. Matula Tea is an excellent example of Doc Grouse’s mission. There is nothing else like it – and there is nothing that is both as safe and effective on the market right now! 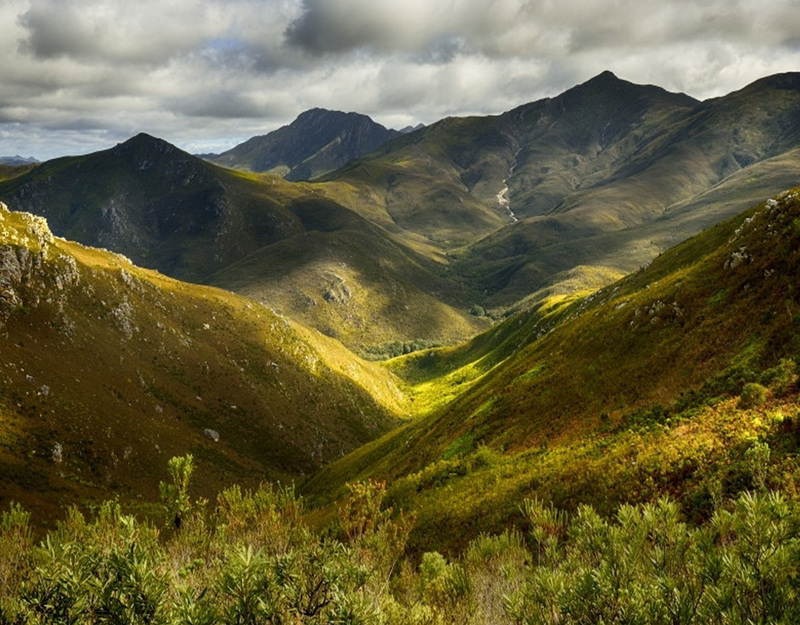 In late 1999, on one of his many walks he took with two old traditional healers in one of several sub Saharan mountain ranges, Doc Grouse noticed some rather green bushy plants. He asked the healers what they knew about these plants. They explained in very simple terms that this particular plant was very effective for treating ‘stomach ailments’, when mixed with several other specific plants. Later during other walks to even more difficult and almost inaccessible areas, Doc Grouse was shown the other plants used for stomach ailments. As always, he carefully collected some samples and made notes of the healers various comments and explanations. During the following few weeks, Doc Grouse finely chopped the plant samples and then dried them in the sun. He then ground all the premixed plant material in the exact ratios as instructed by the healers. He was soon ready to test the first sample of the remedy on himself. He took a teaspoon of the mix and put it into a cup filled with boiling water and let it draw. Carefully and slowly he drank the tea. A family member living in Europe, told Doc Grouse that she was suffering from advanced stage peptic ulcers. She had terrible pain and was constantly taking antacid tablets and was only getting temporary relief. Doc Grouse sent her a one month supply of Matula Tea, which she started taking twice a day for the next month. After one week she was already feeling better, most of her pain had gone and at the end of her treatment, she was completely symptom free. She began her tea treatment in 2005 and to this day has never needed another course of tea nor has she used any other ulcer medication. Another family member heard of the successful treatment and was also treated with equally good results. Then some of their friends asked Doc Grouse to give them Matula Tea and they were also cured after one 30 day course. A few months later, a businessman from Denmark paid Doc Grouse a visit. In conversation, he revealed that he suffered really badly from a stomach ulcer, which turned out to be a bleeding ulcer. Doc Grouse told him of his tests with Matula Tea and the good results, and told him he was welcome to try the treatment. He readily accepted. As soon as he arrived back in Denmark he started his course. After 4 weeks he phoned Doc Grouse and explained that there was no more bleeding and he had no more pain. Over the following years, Doc Grouse harvested more of the plants, prepared the remedy and gave it many people. Doc Grouse gave to it medical doctors as well to aid patients that were non responsive to the antibiotic treatment. The same positive results were experienced. Anxious to find out what was behind the effectiveness of this Herbal Formula, Doc Grouse decided to invest in some laboratory “in-vitro” tests at the University of Stellenbosch. World renowned authority and immunologist, Professor Patrick JD Bouic Ph. D undertook to do the necessary tests. The results were surprising to say the least! They showed that Matula Tea was extremely effective in the eradication of H. pylori, the bacterium known to cause 80% – 90% of all stomach ulcers and 50% of all new stomach cancer cases. Professor Bouic has since been kind enough give Matula Tea his personal endorsement as well, which you can see by clicking the PDF below. When we received the results of these tests, they were so good that we decided without hesitation to offer all our patients a 100% money back guarantee. In fact we could find no good reason NOT to offer you a guarantee! In addition to this, our Matula Health Support team guarantees free and unlimited support to all customers. The Laboratory Test Results Explained…. 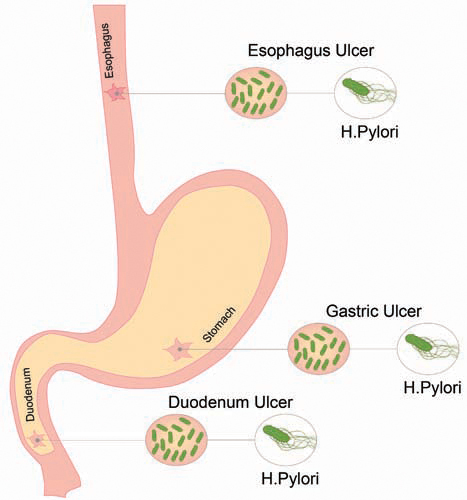 The tests show that at a concentration of 50% the inhibition of Helicobacter pylori bacterium is 93%. A 50% concentration means that the study used two identically equal portions, one portion containing Helicobacter pylori bacterium and the other exact sized portion containing Matula. Inhibition is the amount of the bacterium that was killed off when the two portions are brought in contact with each other. Matula Herbal Tea is effective at killing off 93% of Helicobacter pylori each and every time that Matula comes into contact with Helicobacter pylori in your digestive system. After 30 days (60 doses) you can imagine just how incredibly effective Matula Herbal Tea really is. It gives Helicobacter pylori virtually no chance of survival. Now consider the total effect when you are taking Matula Herbal Tea twice daily and it is effectively killing off 93% of the Helicobacter pylori with each dose!